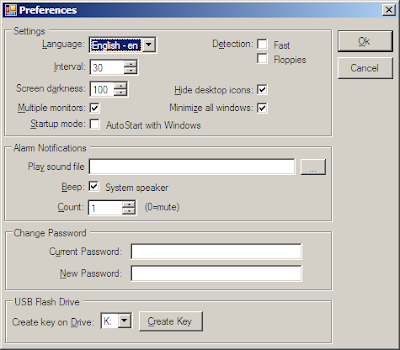 A better way to lock your Windows PC is to use USB flash drive as a Key. With the use of PREDATOR software, your USB flash drive can serve as lock key similar to your car key. After you setup your USB flash drive key with PREDATOR, your computer screen will go black whenever you removes the USB flash drive from the CPU and restore your session when you put it back. Lost your USB flash drive key? No worries because PREDATOR ask you for a backup password during installation. You can use this backup password to unlock your Windows session in case you lost your USB flash drive. USB Security has Become other important factor. -Thanks for Posting and bringing awareness among data security.